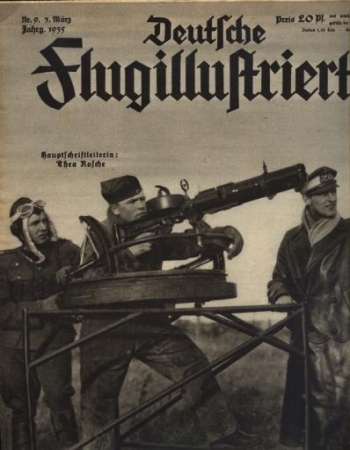 On the left is an example of a Soldat der Luftwaffe or Air Force Soldier magazine. There are 2 issues of this magazine that are in the collection. They are as follows, Heft 3 June 1937 and Heft 8 November 1937. 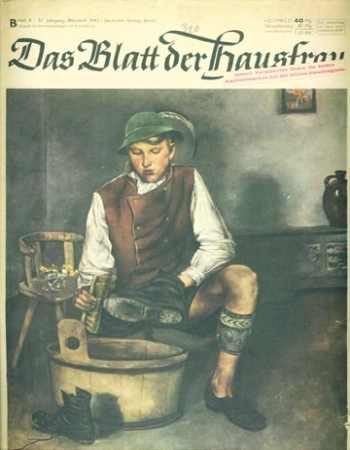 On the left is an example of a Neue Jugend or New Youth magazine. 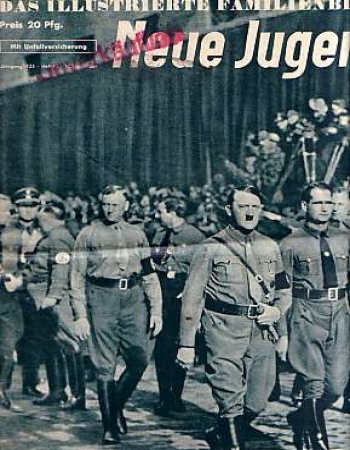 This is issue, Heft 45 and dated November 10, 1935. 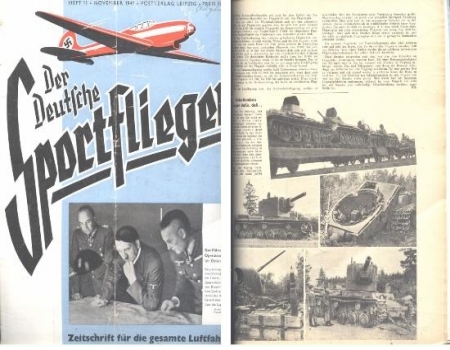 On the left is an example of Der Aufbau or The construction magazine. 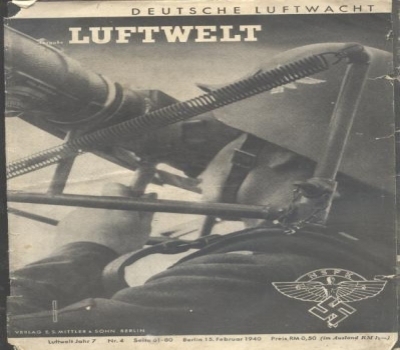 On the right is an example of a Die Wehrmacht magazine. 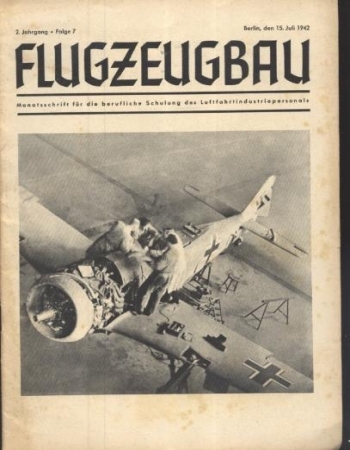 This magazine was published from 1936 to 1944 to serve the German Reich propaganda purpose. 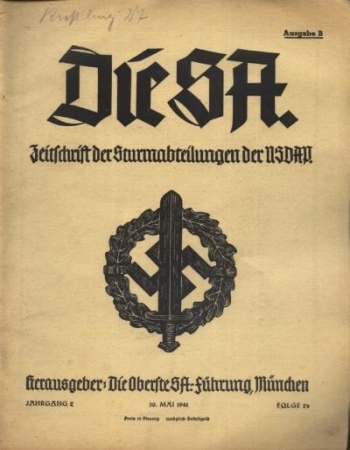 The official editor was the Oberkommando der Wehrmacht from February 1938 onwards, before that time, the editor was Herausgegeben Vom Reichskriegsministerium. 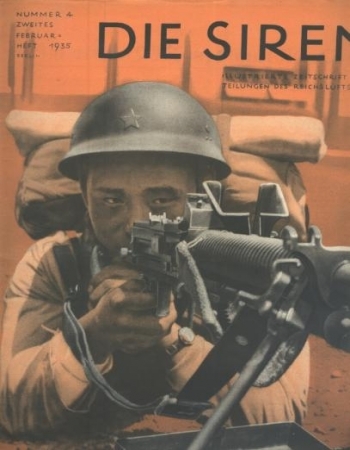 On the left is an example of Die SA magazine. 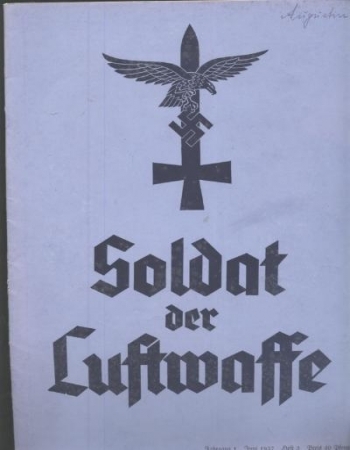 The Sturmabteilung abbreviated SA, or "Assault detachment" or "Assault section", usually translated as "stormtroopers, functioned as a paramilitary organization of the NSDAP. 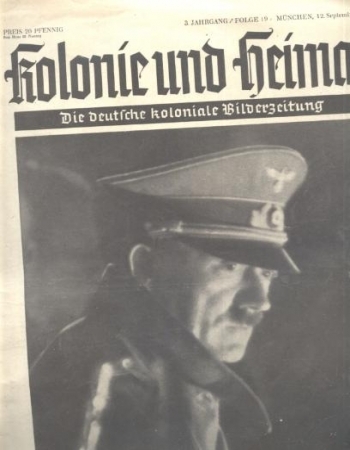 It played a key role in Adolf Hitler's rise to power in the 1930s. 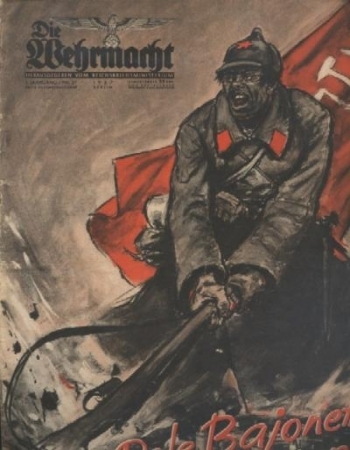 SA men were often called "brownshirts", for the color of their uniforms, and to distinguish them from the Schutzstaffel(SS), who wore black and brown uniforms. There are 2 issues of this magazine that are in the collection. 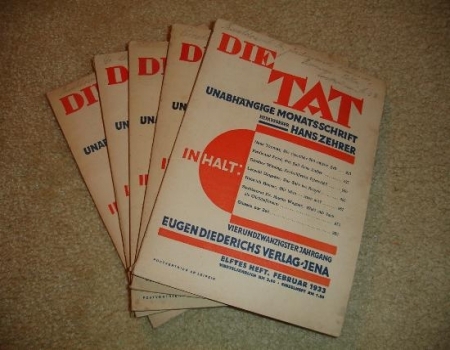 They are as follows, Folge 3 Janurary 17, 1941 and Folge 2? 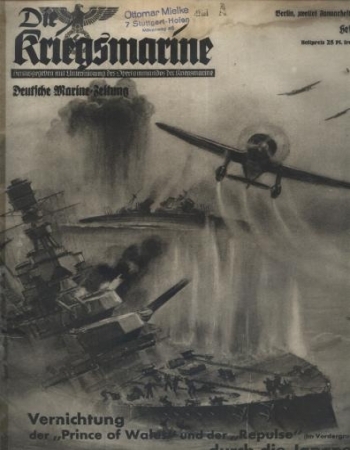 May 30, 1941. 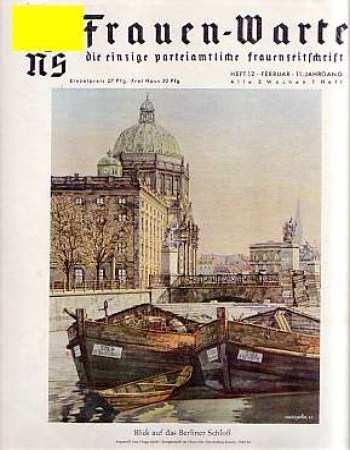 On the right is an example of Frauen-Warte or Women’s Outlook magazine, issue Heft 8 November 11. 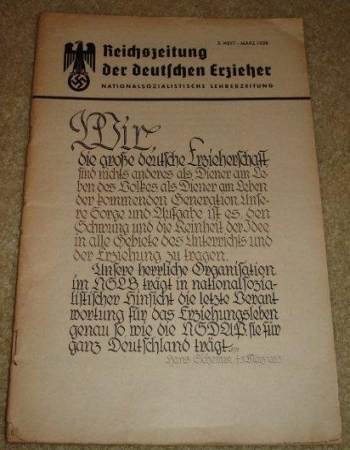 This magazine proclaimed that it was the only official party magazine for women and was one of the periodicalsthat was published by the National Socialist Women's League. 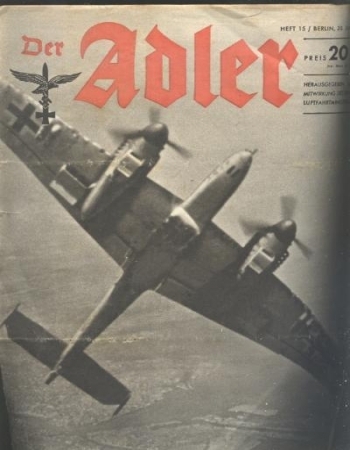 Like most other Nazi publications, it was another propaganda tool. 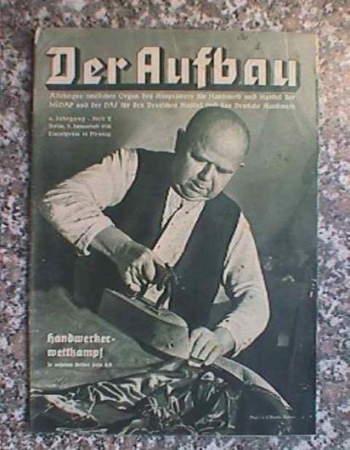 While women did not have any political role within the Nazi regime, they were expected to function as reliable bearers of Nazi ideology in the assigned role of housewife and mother. 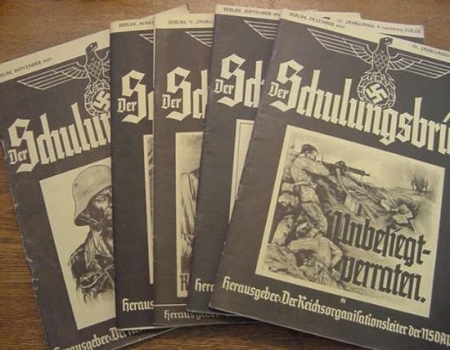 Additionally, the magazine also described the work of the National Socialist Women's League and the German Women’s Work Organziation. 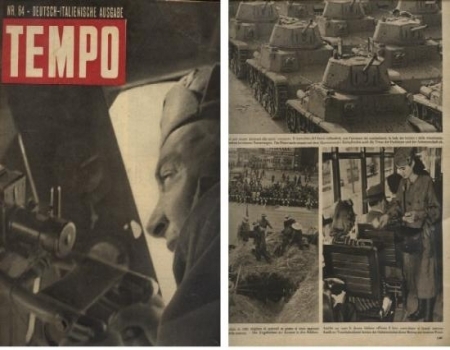 On the right is an example of Tempo magazine issue number 64 of 1943. 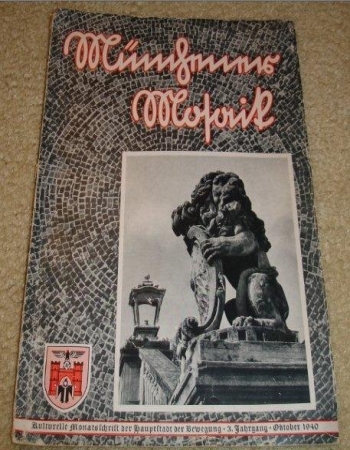 On the right is an example of Muenchner Mosaik or Munich Mosaics that is dated October 1940. 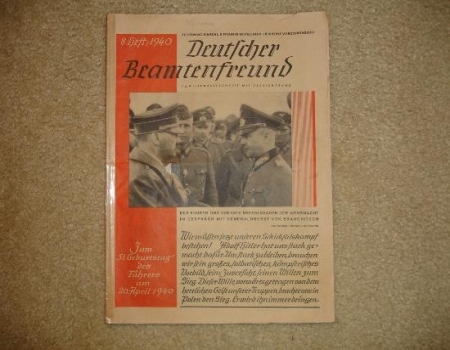 On the left is an example of Deutscher Beamtenfreund or German Officials Friend magazine issue Heft 8 of 1940. 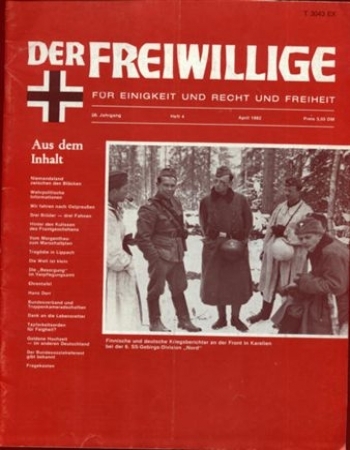 On the left is an example of Der Freiwillige or The volunteer magazine. There are 2 issues of this magazine that are in the collection as follows, Heft 4 April 1982 and Heft 12 December 1996. 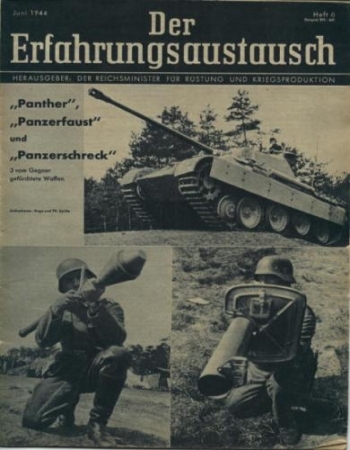 On the right is an example of Reichszeitung der Deutschen Erzieher or roughly translated to German paper for the German teacher. 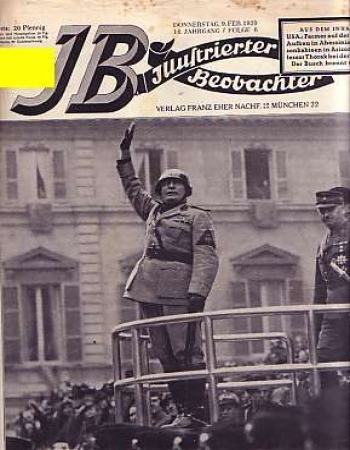 This is issue Heft 3 of March 3 1938.